Tiffany & Co. said Monday that it has filed an appeal from the decision of the District Court in New York, which held that eBay, Inc. is not responsible to police its auction site to seek out and remove counterfeit goods before they can be sold to unsuspecting consumers. 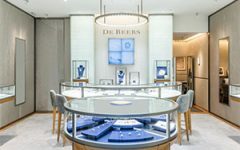 The luxury jeweler filed its motion to the United States Court of Appeals for the Second Circuit. Tiffany sued eBay in 2004 after notifying eBay that 73 percent of a random sample of supposed Tiffany silver jewelry offered on eBay was counterfeit. The appeal will seek to overturn the trial court’s decision by District Judge Richard J. Sullivan saying that companies such as Tiffany & Co. are responsible for policing their trademarks online, not auction platforms like eBay.